Performances with recording artists including Young the Giant, Nathan Pacheco, and Il Volo. Performances with recording artist Yoshiki at the Grammy Museum, SXSW, and Japan Expo in Paris, France. 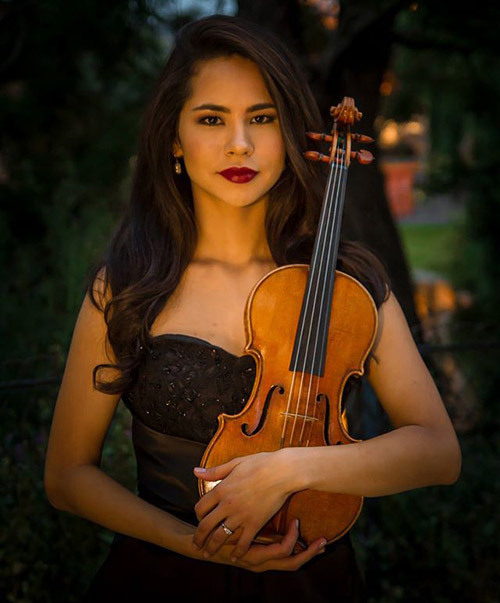 Michelle has served as concertmaster for him since fall of 2013, including on his world tour in summer of 2014. Recording sessions for musicals, albums, video games, and documentaries. Semi-finalist in the 2006 National Sphinx Competition. Soloist as winner of competitions including the Atlanta Community Orchestra Concerto Competition and the CSULB Concerto Competition.